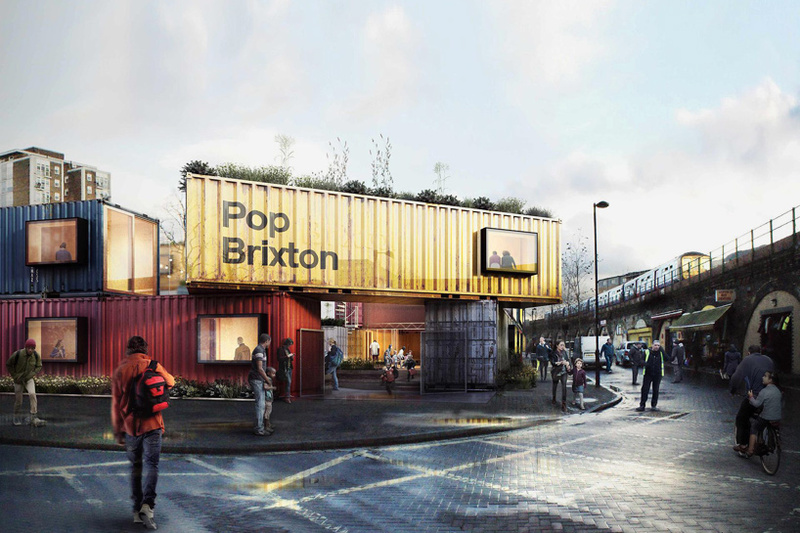 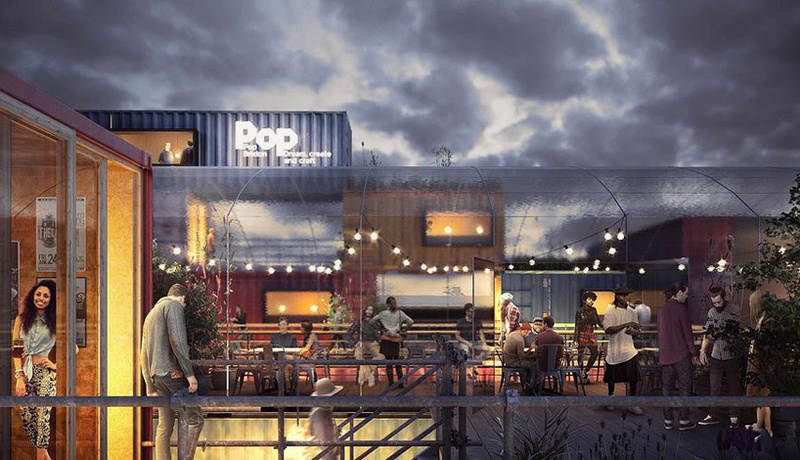 located in south london, ‘pop brixton’ has been conceived as a community campus for local startups and small businesses. 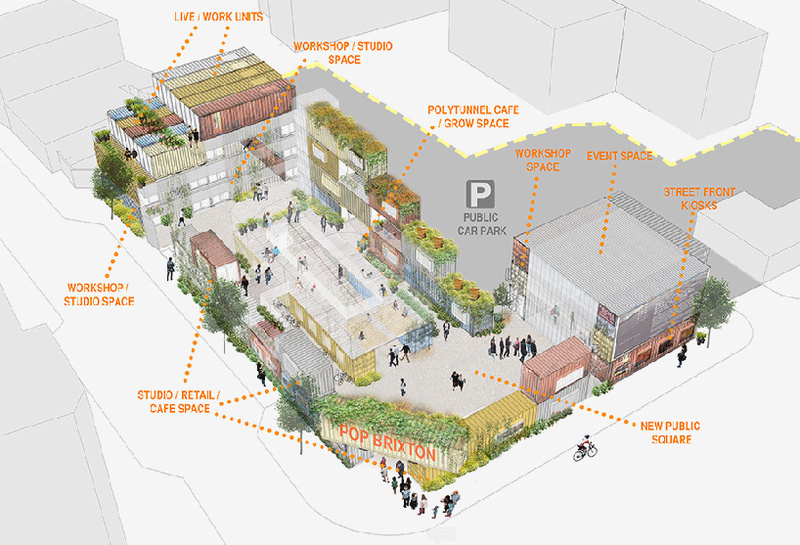 the project, which has been designed by carl turner architects, will provide the region with new public space alongside live/work units and retail outlets. 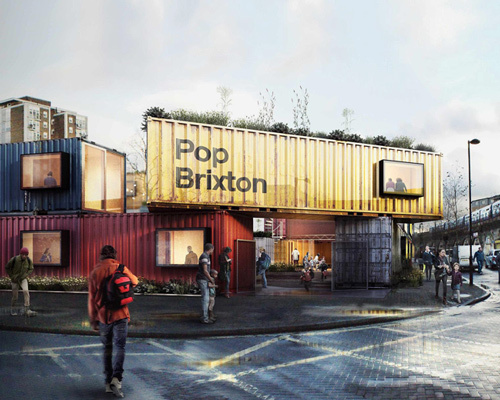 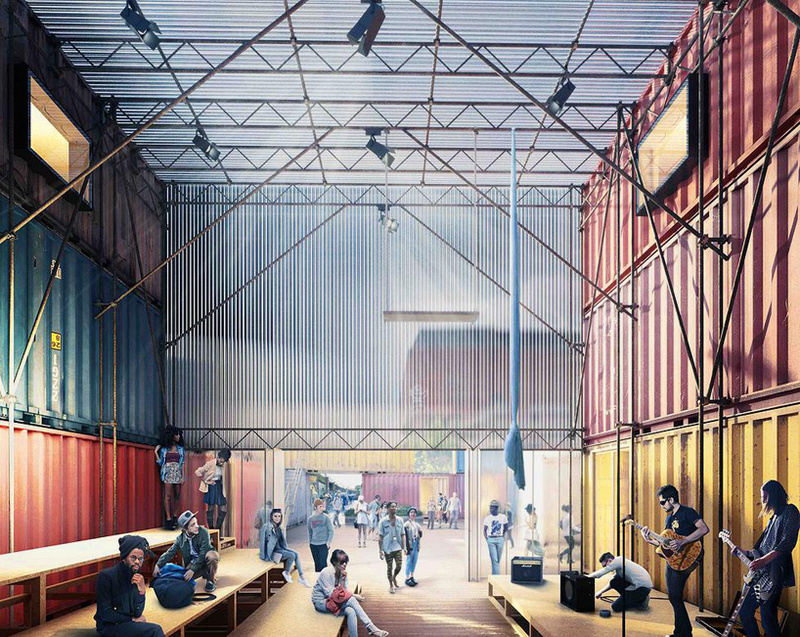 the pop-up campus is built from low-cost, low-energy shipping containers, with a focus on sustainability and efficiency. 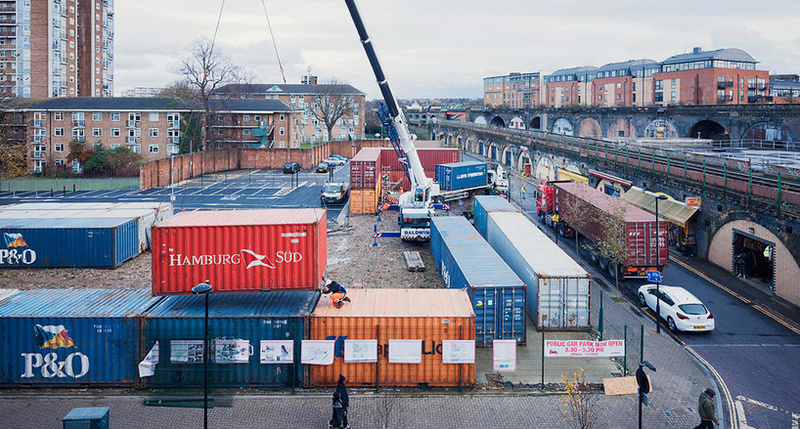 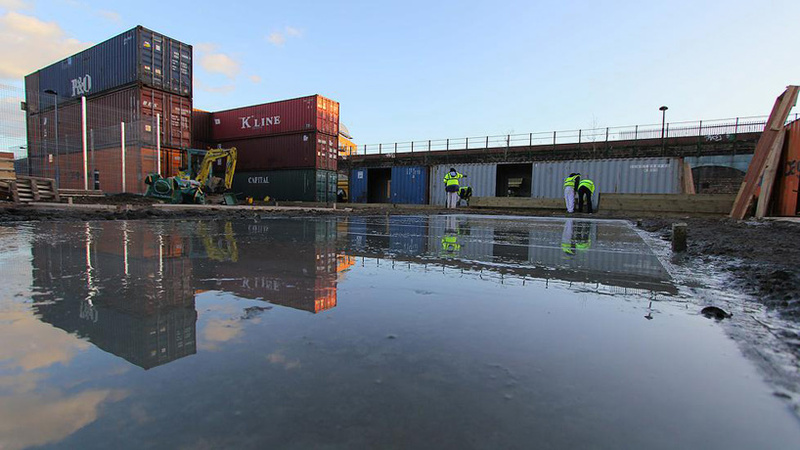 the development is due for completion in spring 2015.
the scheme offers potential occupants both 20 and 40 foot containers that can be tailored to bespoke specifications. 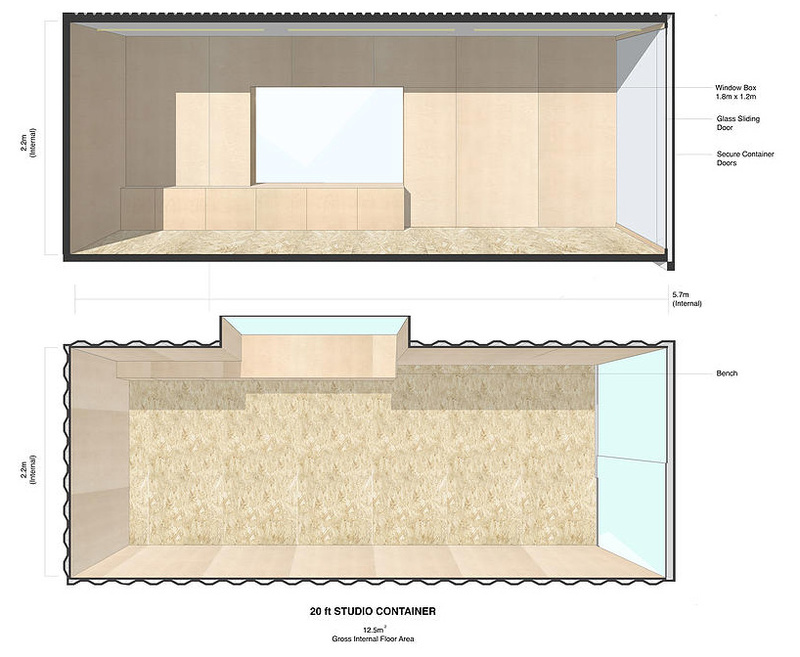 each fully insulated unit includes high speed internet access, two double power points, ceiling lighting and double glazed windows. 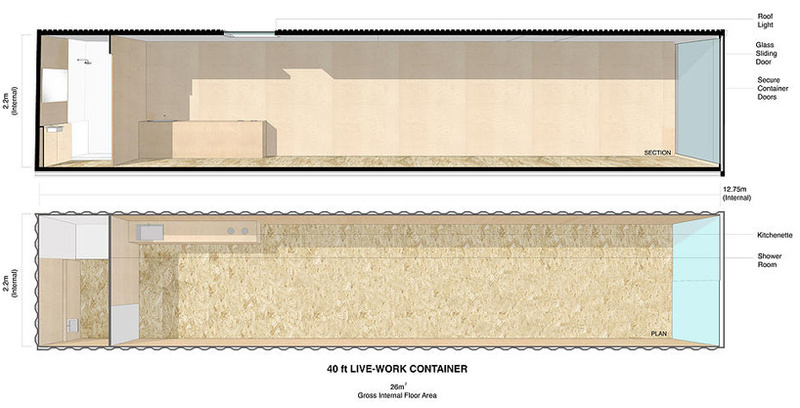 the site’s shared facilities consist of disabled access for ground floor spaces, comprehensive site security, bicycle storage and toilet amenities.